© Gabriel Villalon / WWF-Philippines. 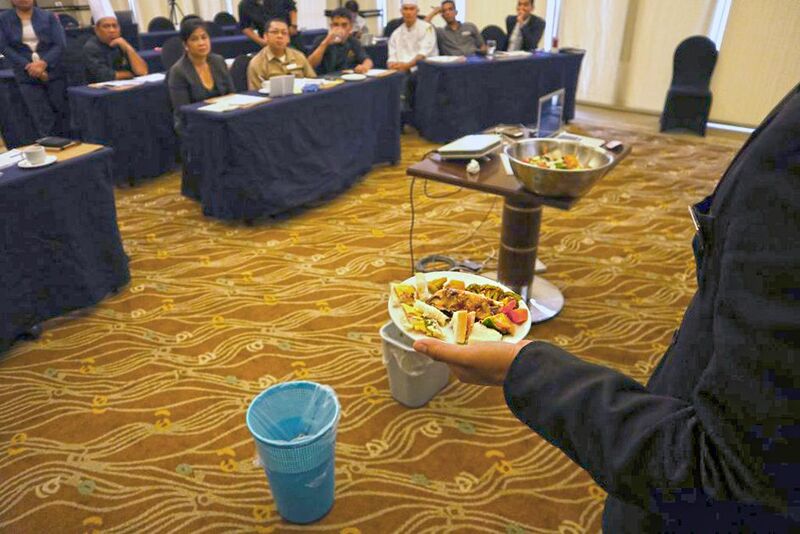 In celebration of the United Nations’ Sustainable Gastronomy Day, which emphasizes the role of gastronomy in ensuring sustainable food production and consumption, WWF-Philippines conducted its first Food Waste Management Training for hotels on June 18, 2018 in Taal Vista Hotel, Tagaytay City. Representatives from different departments – kitchen, purchasing, banquet and sales, marketing and communications, and many others – joined the project team for a half-day session, learning more about WWF’s food waste management tool for hotels and how they can immediately apply this to their daily operations. The overall goal is for partner companies and organizations to set up a food waste management system. The initial study will run a four-month implementation divided into two main parts: food waste separation and food waste measurement. After gathering the necessary data, WWF shall provide possible interventions to reduce food waste produced in their facility. The food waste management initiative is originally led by WWF US, in partnership with the American Hotel and Lodging Association (AHLA), with support from Rockefeller Foundation.